Have you ever found yourself craving chocolate cake at night or any other time when you really don’t feel like: A. Going to the store or B. Baking a cake? I’m sure I’m not the only one, am I? See, these are situations where this little gem of a cake recipe really shines. 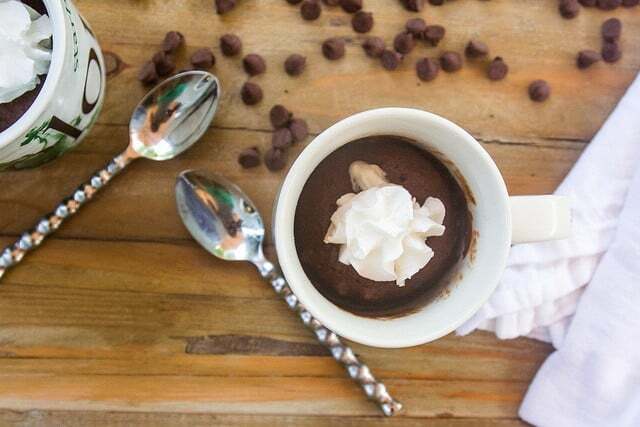 Provided you have the ingredients on hand, which are fairly basic, you will have an awesome little personal mug cake in 10 minutes!! Yup – I said it: TEN minutes. Isn’t that unbelievable? Go ahead and top it with whipped cream or vanilla ice cream and it gets eeeven better! But maybe the best part is that, from what I’ve read, you can finesse the nuke (cook) time so that these little beauties end up with a lava center – OMG! Nah, mine didn’t have the lava center, but I’m still holding out hope for next time. Lava or not, these are still pretty awesome. 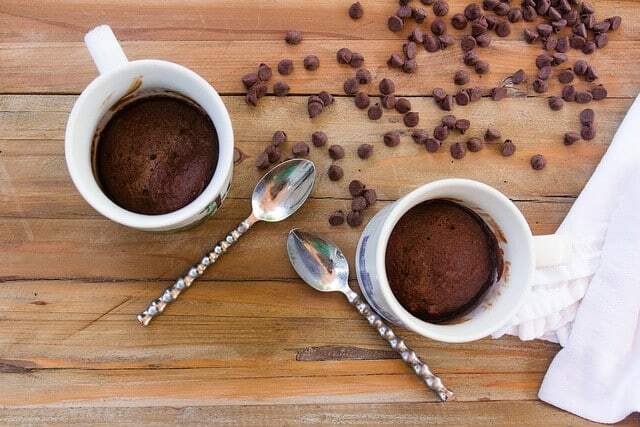 Frankly, this mug cake recipe opens up a whole new world of possibilities as far as mug cakes go for me: maybe a vanilla bean mug cake next time, or a cinnamon apple cake in celebration of the upcoming fall season? Anyone? 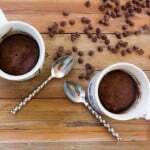 A fast easy recipe to satisfy your chocolate cake cravings quickly! Combine chocolate chips and butter in a microwave-safe dish and melt in 30-second to 1-minute increments, stirring well between each interval. In a separate bowl, combine the eggs and sugar and mix until lightened, about 2 to 3 minutes. Add flour and vanilla flavoring and mix until incorporated. When chocolate mixture has cooled, combine it with the flour-egg mixture. Pour batter into 4 large mugs or 6 small mugs. Microwave on high from 50 seconds to 3 minutes depending on the power of your appliance and how many mugs you place in the microwave at once. If you cook less, you may obtain a molten, lava center. Top with whipped cream or vanilla ice cream in desired.